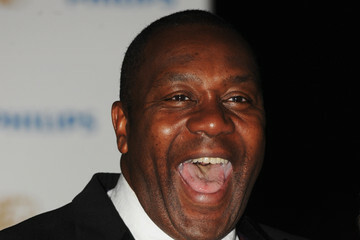 TV funnyman Lenny Henry will activate Aldeburgh’s festive illuminations. Aldeburgh Business Association (ABA) will be creating a winter wonderland with over 150 lit Christmas trees dotted around the town. The celebrations begin at 10am on Saturday, November 24, with a series of masterclasses in Aldeburgh High Street, where shops and businesses will host festive-themed events including wine tasting, butchery, floristry, the art of present wrapping, Christmas baking, jive dancing and more. The afternoon will feature performances from local musicians Abbigail Harrison, Craig Cameron and Bass Line, as well as brass bands and the Aldeburgh choir. There will be stalls with mulled wine and cider, mince pies and Christmas fare, along with street food including Munchies Barbecue and Paella, Eliza and Oh’s Thai Kitchen, a Hog Roast, and the White Lion’s festive baps and roasted chestnuts. Father Christmas will arrive in a horse drawn carriage at his grotto, and family fun and activities will include children’s rides, traditional games, face painting, pony and trap rides, as well as street entertainers, dancers and performers. The Youth Bus will also be based in the High Street, where Aldeburgh Book Shop will also launch of the final volume of Benjamin Britten letters. Lenny Henry will be assisted in switching on the lights by the winner of the Aldeburgh Primary School Christmas poster competition. The evening will be rounded off with a lantern procession arriving at 6pm for the firework display on Aldeburgh beach, in front of the Brudenell Hotel. The High Street will be closed to all traffic from 12 noon until 6pm. Free Parking in all SCDC car parks in Aldeburgh from 2pm. 3:15 Christmas Party Ideas Made Easy! Street entertainers, magician, children’s rides, pony rides, traditional stalls, BBQ, festive baps, hog roast, Thai kitchen, Paella, mince pies, mulled wine, festive fayre, gifts and roasted chestnuts will all be available from 2pm in the High Street. This year’s ALDEBURGH DOCUMENTARY FESTIVAL marks its 18th year as the UK’s leading public-facing celebration of the documentary film. Continuing to expand its international reach, the themes for this year’s festival weekend are Britain, the U.S., and China’s influence in the developing world. There will be six brilliant sessions over the Festival weekend, offering delights of all sorts, from the deep humanity of Marc Isaac’s film THE ROAD: A STORY OF LIFE AND DEATH, to the extraordinary journey through model-making and photography of Mark Hogankamp in MARWENCOL, to the distinguished career that spans four generations of Leslie Woodhead whom we will celebrate on Saturday afternoon. Our other guest will be Julien Temple, who has made art films, music films as well as dramas, and investigates the collapse and rebirth of DETROIT with us on Saturday night. The Sunday debate on CHINA in the wider world will be chaired by the charismatic Trevor Phillips, until very recently Chair of the Equality and Human Rights Commission, and a considerable journalist and TV producer in his former life. We expect this debate to be absolutely scintillating! The China debate is preceded by a screening of WHEN CHINA MET AFRICA, followed by a Q&A with the film’s director, Nick Francis. And last but certainly not least: Bill Nighy will be presenting the Docfest”s first ever Lifetime Achievement Award! !